The compact-crossover segment seems to be getting more competitive by the day, with new challengers constantly joining and new technology constantly being added. 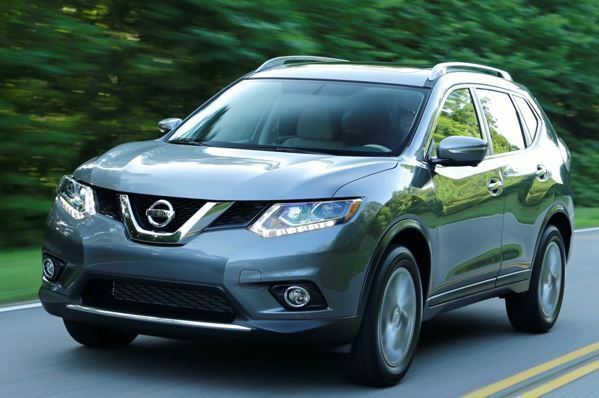 Two of our favorite entrants in the segment are the Nissan Rogue and the Mazda CX-5, both of which -- in keeping with the rest of the segment -- offer new designs and lots of technology. But which is better? And which one should you buy? We've created an in-depth comparison to answer exactly that, but first let's see what's new with both crossovers. Following a full redesign last year, the Rogue is unchanged for the 2015 model year. The CX-5 is largely unchanged for 2015 save for newly standard keyless entry and ignition on Touring and Grand Touring models. According to automotive experts at J.D. Power, the Rogue offers better-than-average reliability. Unfortunately, the firm has not yet rated the latest Mazda CX-5. But Consumer Reports has rated both crossovers for reliability, and it says that both the CX-5 and the Rogue have earned above-average scores, with the CX-5 scoring slightly higher than the Rogue. As for warranty length, these two crossovers are identical: Both tout 3 years or 36,000 miles of bumper-to-bumper protection and 5 years or 60,000 miles of powertrain coverage. Due to similarities in warranty length and reliability scores, we can't say that either of these beats out the other in terms of dependability, but we think that car shoppers will be happy with either model. The CX-5 offers two powertrains. Base models use a 155-horsepower 2.0-liter 4-cylinder that's mated to either a 6-speed manual or a 6-speed automatic transmission. The 6-speed manual gets the best fuel economy ratings -- 26 miles per gallon in the city and 35 mpg on the highway -- though drivers who choose the automatic will still see an impressive 26 mpg city/32 mpg hwy. Meanwhile, the Rogue has only one powertrain: a 170-hp 2.5-liter 4-cylinder, which is mated solely to a fuel-saving continuously variable transmission. The Rogue's fuel economy figures are also stellar, coming in at 26 mpg city/33 mpg hwy. Although there are slight fuel economy differences here and there between the CX-5 and the Rogue, we'd say that these two crossovers are roughly even, and we think most shoppers will be impressed with either one. In the National Highway Traffic Safety Administration's crash testing, the CX-5 earned a perfect 5-star overall score, topping the Rogue's 4-star rating. 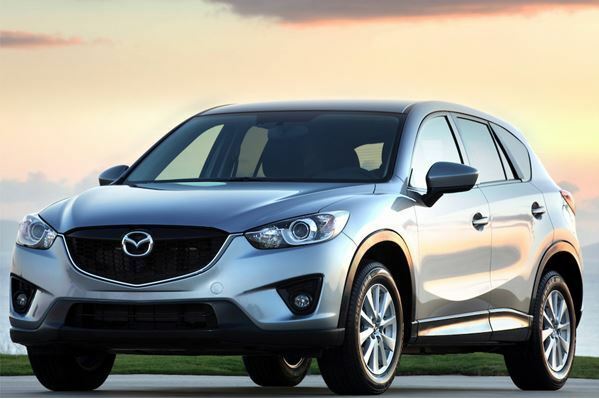 The CX-5 also beat out the Rogue in testing carried out by the nonprofit Insurance Institute for Highway Safety, earning a Top Safety Pick+ rating to the Rogue's also-excellent Top Safety Pick score. When it comes to safety features, both the Rogue and the CX-5 have a lot of benefits. Both crossovers offer all the usual stuff such as anti-lock brakes, traction control and side-curtain airbags. But from there, there are a few differences. Only the Rogue comes standard with a backup camera, for instance, and only the CX-5 has an automatic braking feature built in to its forward-collision warning system. Only the Rogue offers a 360-degree top-down camera, which can be tremendously helpful in tight spaces, and only the CX-5 offers automatic wipers. So which one is better? We'd say the CX-5 just beats out the Rogue when it comes to safety, both in terms of crashworthiness and equipment. Yes, we like the Rogue's 360-degree camera, but not as much as we like the CX-5's available automatic braking system. In terms of technology, we think the CX-5 offers a few slight benefits over the Rogue. For instance, only the CX-5 offers a remote-start feature. Only the CX-5 touts automatic wipers and an automatic braking system. Only the CX-5 offers adaptive headlights or xenon headlights, and only the CX-5 offers auto-dimming mirrors. Admittedly, the Rogue has a few unique features of its own, such as the aforementioned 360-degree camera and a backup camera that's standard rather than optional. We also think both crossovers offer roughly the same infotainment capabilities. But for true technophiles, we think the CX-5 has a slight edge over its Rogue rival. If you compare starting prices between the Rogue and the CX-5, you'll see that the Mazda is much cheaper than its Nissan rival, but that's a little deceptive: A base-level CX-5 comes standard with the crossover's smaller engine and a manual transmission. Upgrade to the 2.5-liter engine and an automatic, and you'll actually pay more than you would for a base-level Rogue. Is the CX-5 worth the slight price premium? We're not so sure. Both crossovers offer roughly the same level of standard equipment, though the Rogue touts a standard backup camera. The Rogue offers more room than the CX-5, and only the Rogue boasts an available third-row seat, which can be an important feature for some shoppers. We think the value category is a toss-up, but if we had to pick a winner, it might be the Rogue. The Mazda CX-5 and the Nissan Rogue are two of today's best compact crossovers -- and it shows. Both SUVs offer stellar fuel economy, lots of technology, competitive pricing and a lot of safety equipment. Picking a winner here is hard, but we'll go with the Mazda. It offers a better safety record, slightly better gas mileage, more technology and a more involved driving experience. Still, we like the Rogue a lot, and we wouldn't fault anyone for purchasing one.